Take Highway 181 North - Harbor Bridge exit. (You will need to be in your right-hand lane to take 181 North from Interstate Highway 37 or Crosstown Expressway). When you go over the bridge, take the first exit (Corpus Christi Beach). Follow the road's curve and then make a right on Burleson Street. Go to the first stop sign and make another right onto Surfside. 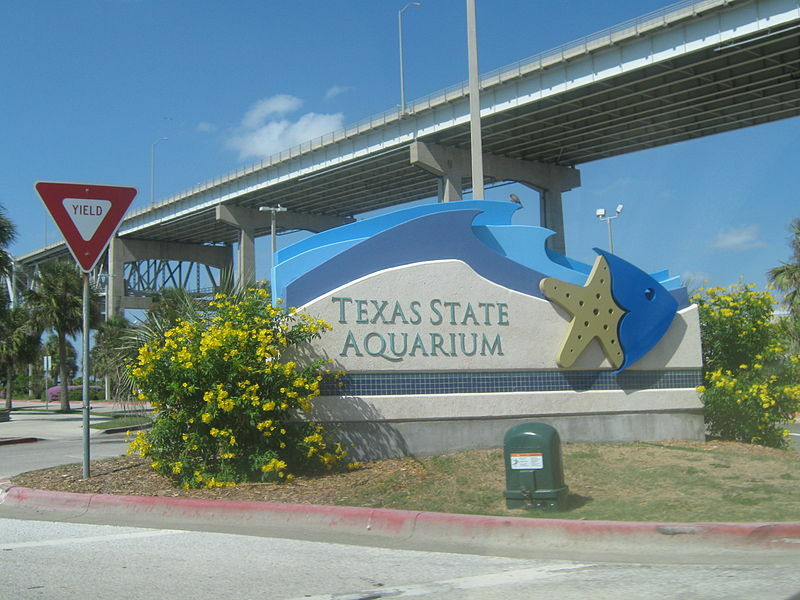 Keep going until you see the blue sign that reads Texas State Aquarium. There are two parking lots conveniently located in front of the aquarium. Take Highway 181 South towards Corpus Christi. Before you go over the Harbor Bridge, take the Burleson Street exit. Make a left underneath the overpass. Go to the first stop sign and make a right onto Surfside. Keep going until you see the blue sign that reads Texas State Aquarium. There are two parking lots conveniently located in front of the Aquarium. Take Highway 181 North - Harbor Bridge exit. After crossing the bridge, take the first exit (Corpus Christi Beach). Follow the road’s curve to the stop sign. Turn left onto Burleson Street (you will drive straight under the causeway). Continue straight about 1/2 mile to Rincon Road and turn right after crossing the railroad tracks. SeaLab is 1/2 mile on the right hand side. Take Highway 181 South towards Corpus Christi. Before crossing the Harbor Bridge, take the Burleson Street exit. Turn right at the stop sign onto Burleson and continue about 1/2 mile to Rincon Road. Turn right after crossing the railroad tracks. SeaLab is 1/2 mile on the right hand side. Designed to inspire conservation of the Gulf of Mexico, there are both indoor and outdoor exhibits at this aquarium. The indoor exhibits include the Amazon rainforest, Dolphin Bay, "floating phantoms", flower gardens that replicate an actual coral reef, Living shores,and a special exhibit about "Islands of Steel" which gives an underwater view of the habitat formed around an oil platform in the Gulf. The outdoor exhibits include Dolphin Bay, Otter Creek, Stingray Lagoon, Swamp tales and many more. All admissions are currently being discounted while the restock a few of their indoor aquatic exhibits. Check their website for current prices. Jellyfish delight visitors of all ages. Learn more about jellyfish in this great video! If you need a place to stay near by, check out one of the following hotels: Candlewood Suites South, Courtyard by Marriott, Embassy Suites, Holiday Inn Airport, Hyatt Place and the Radisson Hotel.